You Can Be The Next Street Dance Champ At NYP Groove 2019! Get ready to tear up the stage at NYP Groove 2019! Set to take place at Nanyang Polytechnic (NYP) Open House, the annual street dance extravaganza is gearing up for its most exciting edition yet. The previous installment saw an impressive turnout, with a total of 96 talented contestants battling it out on the dancefloor for the coveted top honours. If you’ve missed out on all the action, here’s a recap of our favourite performances during last year’s showdown. We know it’s 2018, but we still can’t get over NAEKADIZE’s salt bae shout-out. They may be young, but the fierce femmes from Double JMN proved they’ve got the grooves. That epic moment when Mischiefs threw their bandanas in perfect synchronisation. K-East’s knife-sharp moves earned them a ton of applause from the crowd – it’s no wonder they bagged the winning title. Just check out their killer routine! Think you’ve got what it takes to be the next NYP Groove! champ? Registrations for NYP Groove 2019 close on 25 November 2018. Gather your crew and head over to www.nyp.edu.sg/nypgroove to sign up now! Teenage Vol.30 Issue 3 Featuring SEVENTEEN – Out Now! We’re kicking off SG53 with a bang! It seems like just yesterday that we were celebrating SG53, but we’re now halfway through another great year. 2018 has been a special one, starting with the revival of the 1987 NDP classic ‘We Are Singapore’ by local singer-songwriter Charlie Lim – which garnered heaps of praise from fellow Singaporeans. But Charlie isn’t the only one doing our little red dot proud; we’ve got other influential personalities who also deserve just as much recognition. In this edition, we shine the spotlight on people who are putting Singapore on the map in ways never before imagined – from local acts making their mark abroad, to young designers leading the fashion scene, to unsung millennial heroes who have been making a difference. Of course, not forgetting the fun stuff. The upcoming months are filled with plenty of cool gigs like Sam Smith and Paramore, as well as mega fests like HallyuPopFest and F1. But what we’re most excited for is our cover stars SEVENTEEN’s IDEAL CUT concert in September, so we packed in loads of OT13 content for your reading pleasure. Oh, and did we mention there are four posters inside too? Grab a copy of Teenage on newsstands or from our online store, or subscribe to a digital version on Magzter. Teenage Dance Challenge 2018 Is Back – Register Now! Calling all hip-hop crews and K-pop hopefuls to the dancefloor – Teenage Dance Challenge is back for its 8th edition! Round up your squad and form a group of three to 10 members to participate in the most thrilling dance-off yet. Bust out your best head-spinning, body-popping moves in the Street Dance category (Open and Rookie), or give your favourite K-pop acts a run for their money by recreating their killer dance routines in the K-pop Dance Cover category. Ready to battle it out for the crowning glory? Register now! Registration closes on 21 September 2018. Forget Netflix & Chill, You Can Now Netflix & Woof At This Fun-Filled Adoption Drive! 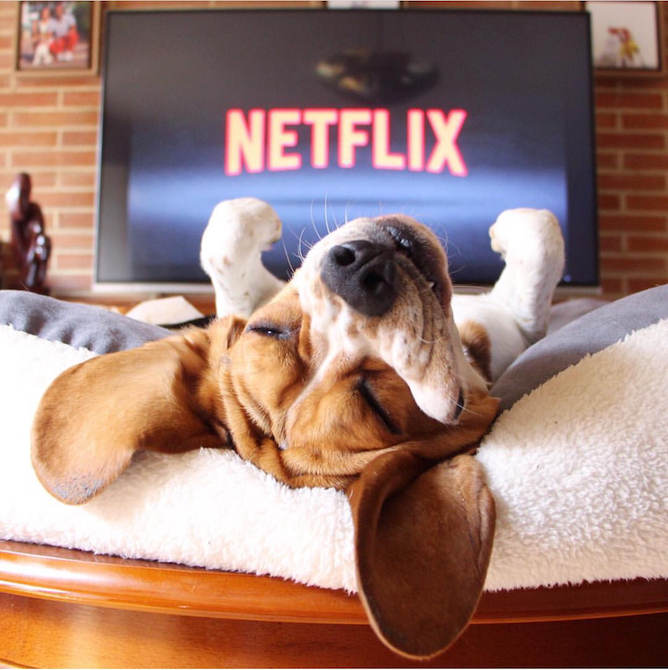 Netflix binge-watching just got even more pawfect! Surveys show that most people watch Netflix with their dogs by their side, which is not surprising since a fur-bundled often makes the best cuddle buddy! Combining your favourite pastime and your favourite animal, SOSD is hosting an exciting dog adoption drive this April. There will be an exciting lineup of activities to look forward to, including a picnic-style screening of Benji under the stars! Whether you’re up for treating your four-legged bud to a night out, or looking to take in another lifelong friend, Netflix and Woof is the place to be. What’s more, you will get an exclusive goodie bag consisting of a picnic mat for the screening, goodies for your pet, and a three-month Netflix subscription so you can #NetflixandWoof at home! Head here to register. Limited to one sign up per adult, but kids and pets attend for free. Registration is limited to the first 200 signups. We’d ruff to see you there! There's A Free March Holiday Workshop That Lets You Play Scientist For A Day! Whether you’re a curious hobbyist or an unstoppable science geek, you’ll want to secure a spot at the first-of-its-kind Future Food euglena workshop held at the Singapore Science Centre. Just in time for the March holidays, this one-day event allows you to explore the fascinating world of euglena. Ready to play mad scientist? 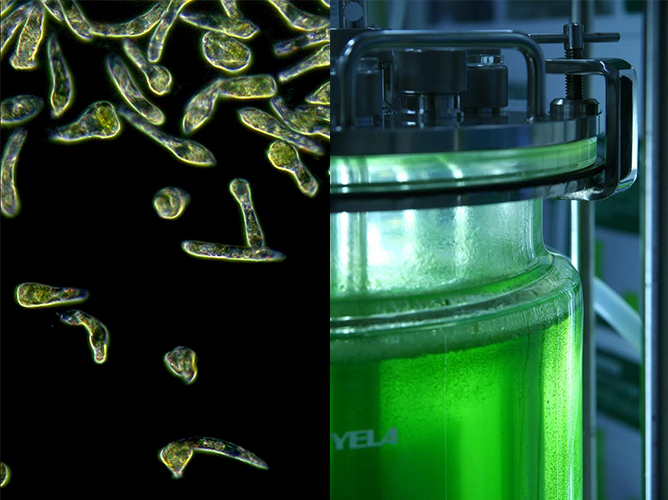 Here, you get to see, feel and taste euglena – a single-celled micro-organism that might just help to save the planet. Despite being only 0.05mm in length (it’s thinner than a strand of hair! ), this wonder microalga packs a punch; it exhibits both plant- and animal-like characteristics, which means it has the ability to move around and reproduce rapidly with water and light for sustenance. Plus, it contains a whopping 59 different vitamins, minerals and amino acids, making it a potent element in superfoods, cosmetics and possibly jet fuel in the future. But the future ain’t too far away, as you can now learn more about euglena at this upcoming workshop. To ensure that you get the best experience, you’ll be assisted by top-notch Japanese researchers so rest assured you’ll be in good hands. Be sure to sign up ASAP as spots are limited!